Miami Brain Injury Lawyer | Florida Head Injury Attorneys Gerson & Schwartz, P.A. Contact Coral Gables, Florida Personal Injury Attorney Gerson & Schwartz, P.A. 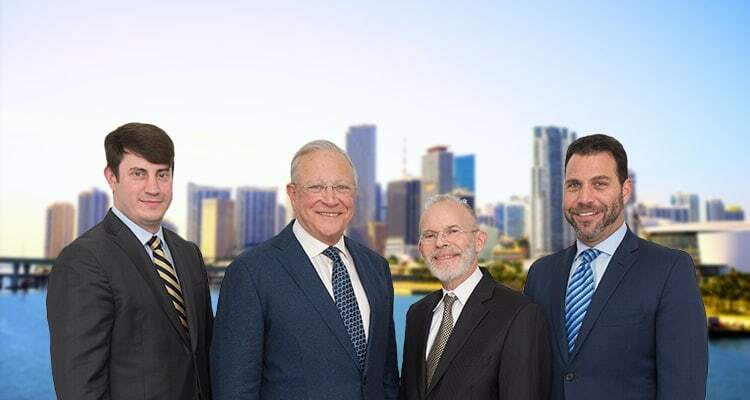 With over four decades of experience litigating complex personal injury and wrongful death claims, the Miami attorneys at Gerson & Schwartz, P.A. are dedicated to protecting the rights of catastrophic injury victims such as those who sustain traumatic brain injuries. Common brain injuries occur in car accidents, motorcycle crashes, drunk driving accidents, assaults, or after a serious crime. In fact, motor vehicle accidents are the leading cause of related fatalities in the U.S. The CDC also estimates that 52,000 of the approximately 1.7 million people who suffer a traumatic brain injury each year die as a result of the injury. Furthermore, an estimated 275,000 are hospitalized and almost 80 percent of head/brain injury victims, or about 1.235 million, are admitted to the ER for treatment and subsequently released. Overall, these type of injuries are estimated to play a role in an approximately 30.5 percent of the injury-related deaths recorded throughout the nation annually. If you have suffered a brain injury, a brain bleed, or have noticed any of the symptoms described above, it's important to get immediate medical care. Whether it is a motor vehicle accident, fall, sports-related concussion, or any other type of head injury that is ultimately deemed the cause of a traumatic brain injury, one thing remains clear: the devastating effects are felt by both victims and their families/friends. Brain injuries can occur when there is direct trauma, a lack of oxygen, or as a result of a closed head injury. When there is direct trauma the cerebral cortex may become bruised. In closed head injuries, the brain suffers a whiplash type injury. There is acceleration followed by rapid deceleration of the skull and brain inside. The brain impacts the skull and it becomes bruised and damaged. Closed head injuries are common in car accident cases involving seat belted drivers involved in high speed collisions. Another type of traumatic brain injury can happen when there is a lack of sufficient oxygen to the brain and is called an "anoxic brain injury". Common anoxic brain injuries can occur in medical malpractice cases such as in a birth related injury or when there is a failure to provide adequate medical care such as cardio pulmonary resuscitation in an emergency response situation. According to information provided by the Centers for Disease Control, falls are the leading cause of brain injuries accounting 35.2 percent of the nationwide total and 50 percent of children ages 0-14 who suffer them. They are followed by traffic-related accidents and motor vehicle crashes which account for 17.3 percent of all traumatic brain injuries and 31.8 percent of all traumatic brain injury related deaths. While some traumatic brain injuries are considered "mild," causing only a slight change in mental status, or cognitive functioning, many brain injuries are much more severe. 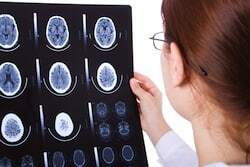 Severe brain injury may arise from an extended period of loss of consciousness and result in significant cognitive impairment such as a loss of motor skill and executive motor functioning. The South Florida injury attorneys at Gerson & Schwartz, PA specialize representing brain injury victims. To find out how we can help, contact our South Florida based personal injury law offices toll free at (877) 475-2905 or you can contact us online. Gerson & Schwartz, PA all represents injury victims throughout the state of Florida including Miami-Dade County, Broward County, Palm Beach County and Monroe County. We also make house calls if necessary to Coral Gables, Miramar, Miami Beach, North Miami Beach, Aventura, Key West, Key Largo, Marathon, Plantation, Weston, Pembroke Pines, Coral Springs, West Palm Beach, Boca Raton and Jupiter. We also handle traumatic brain injury cases statewide, from Orange County and the Tampa Bay Area.